On October 17th we lend the studio to Luca Pretolesi, Grammy nominee and member, that will share his world-class skills and expertise to give your music production the boost it deserves. 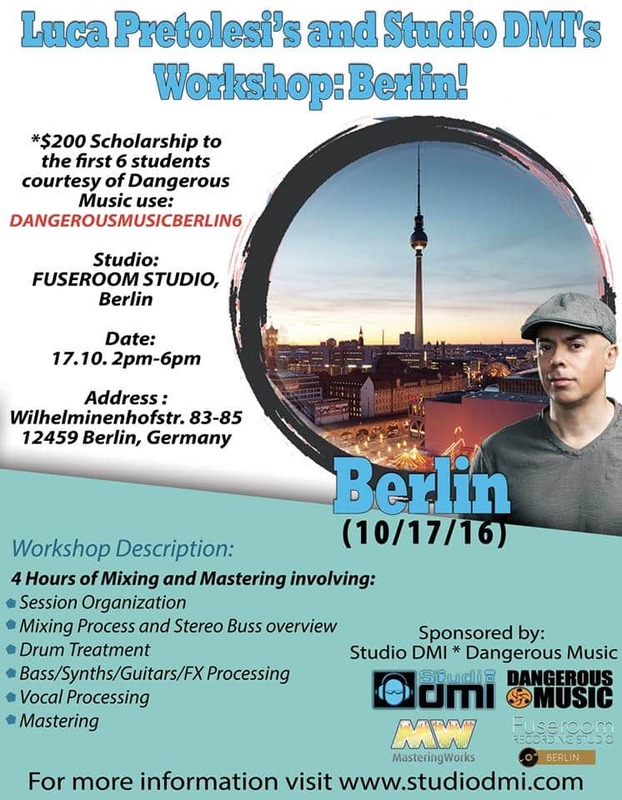 This is part of his 4-day European Tour that kicks off straight from our beloved Berlin. The workshop is held in English and has limited seats. Did you know? We also produce the records we love, supporting artists and bands with limited budgets to get their story to the world.